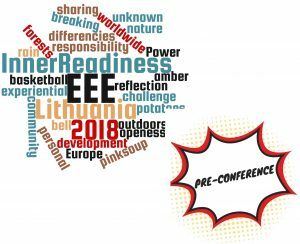 Pre-conference offers additional time and space for conference participants to network and also experience our country Lithuania. 14.00 – 19.00: Expected arrivals and arranged pick-ups from Vilnius airport or bus/ train station. 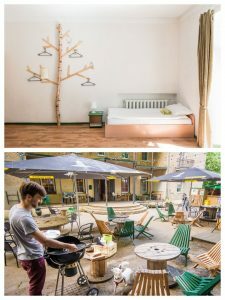 Settle in the cozy Downtown forest hostel and grill evening in the Chill zone of the hostel. Kayaking: an interesting way of experiencing capital Vilnius from the water perspective. After breakfast we will head outside Vilnius where our kayaks will be waiting for us. 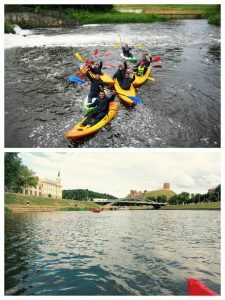 Kayaking on the river and stepping out to visit various places of interest (both in nature and city), while passing through Vilnius. We’ll have our lunch on the way. We’ll finish our kayaks’ journey in the very center of the town and then back to hostel by city bicycles. In the evening we will relax in the city and have dinner there. 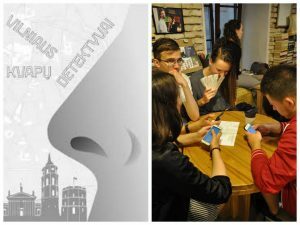 Experience Vilnius city by playing Vilnius Smell Detectives – finding places in town and relating them to different smells provided by organizers. It’s the way of find out more about the city and its history by using your nose. 2. 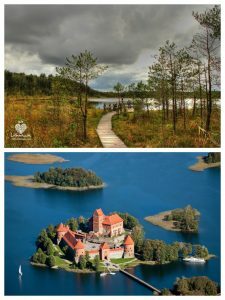 Heading towards the place of conference by visiting Trakai (old capital of Lithuania) and a short hike in Varnikų swamp . 3. 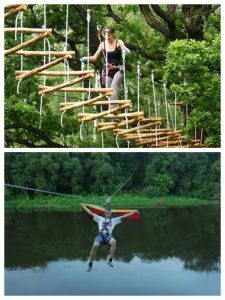 Spending half day in high rope park in Vilnius with the opportunity to fly across Neris river. Whatever option will be chosen, the pre-conference will end by arriving and checking in conference venue in the late afternoon of the 3rd of May. Make up your mind and sign-up now! organisational and activity costs, described above. Below you can see the payment procedure for the pre-conference. Please pay the down-payment after singing up online (when you register for conference – please “tick” a box in a pre-conference field). Add the down-payment of pre-conference fee to your main conference fee (the first installment). Down-payment is to cover some initial costs. 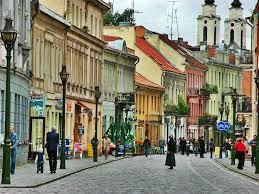 The rest of the fee could be paid when you arrive to Vilnius.